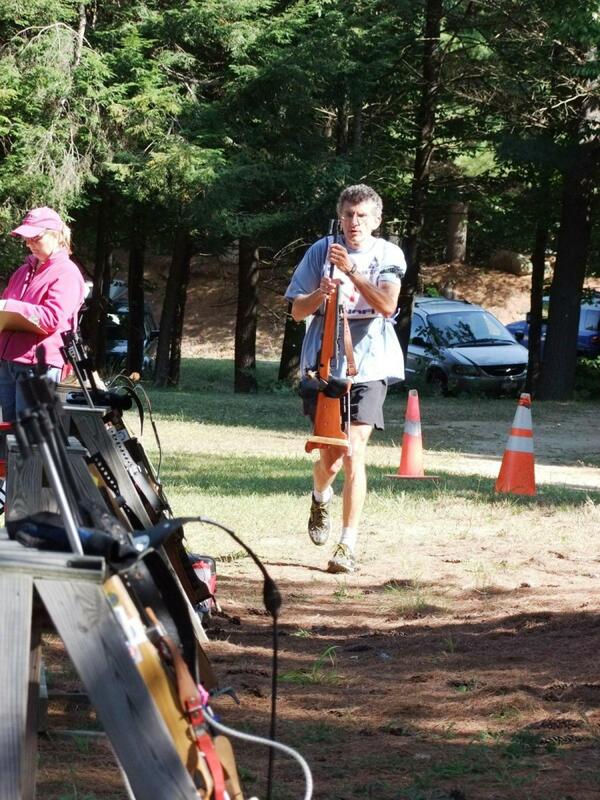 Sean Halligan (Saratoga Biathlon) and Erin Graham (Saratoga Biathlon/ National Guard) were the fastest over two days at the Saratoga Biathlon Club. 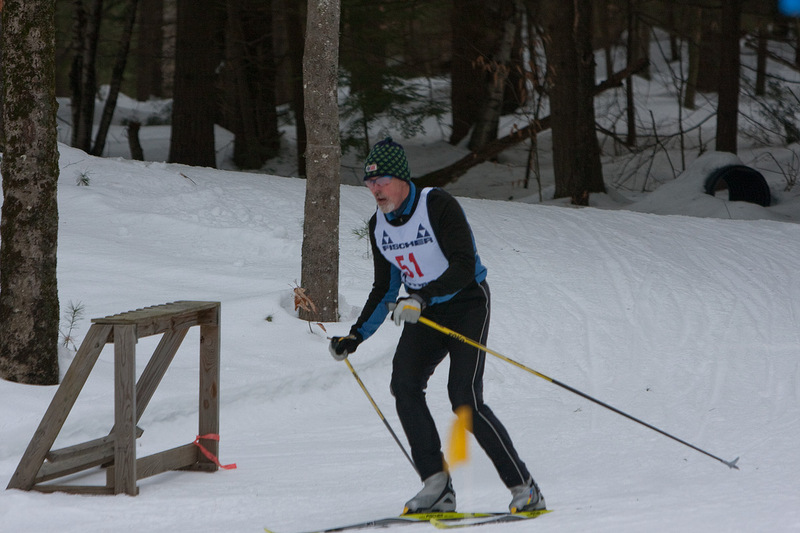 Halligan who started the pursuit race first after the sprint race, was cruising for the first three loops with only three penalties (one in each stage). 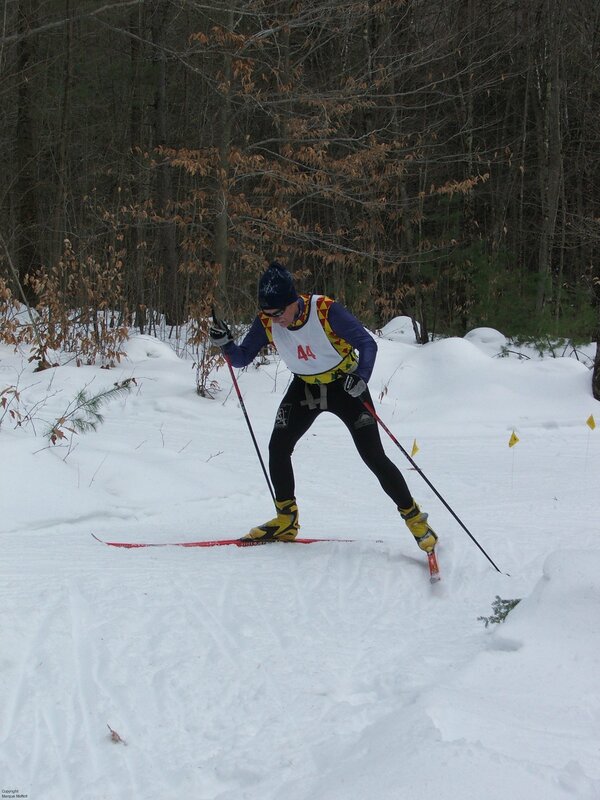 At the same time his competitors were struggling in the range, Tom Moffett (Saratoga Biathlon) who started third missed six shots in the first three stages. 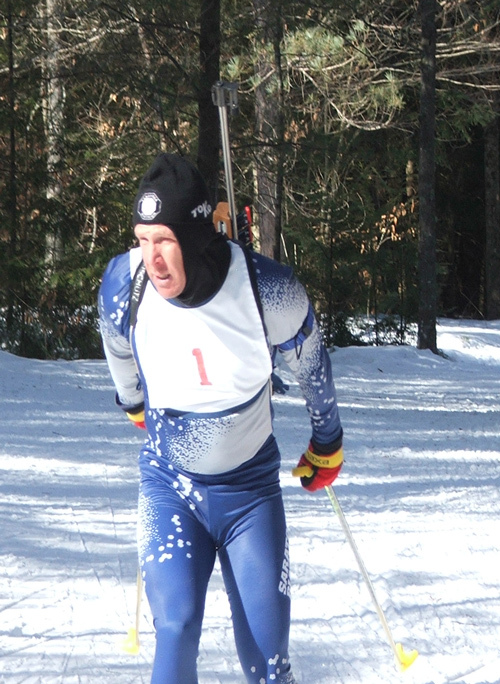 Eli Walker (Saratoga Biathlon) and Rene Harde (Saratoga Biathlon) had each missed five shots. 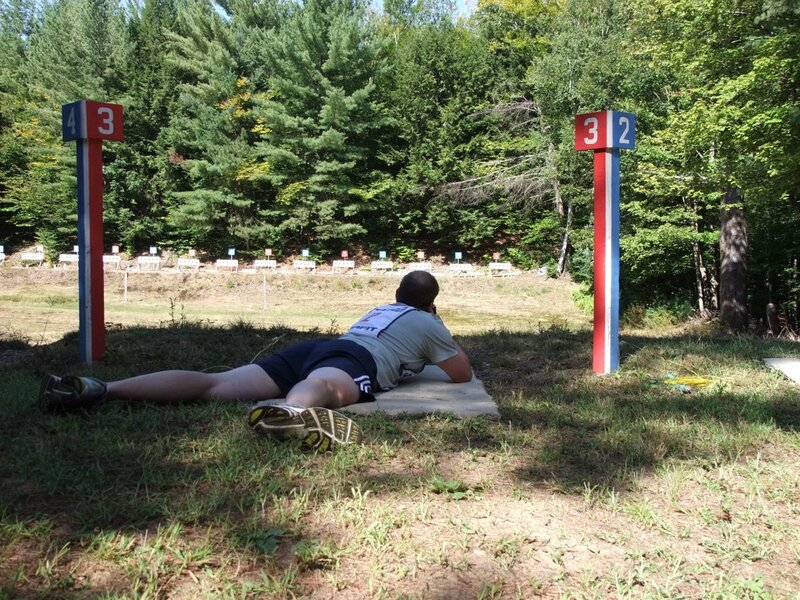 In the final shooting stop, Halligan experienced problems in the range, missing three shots. 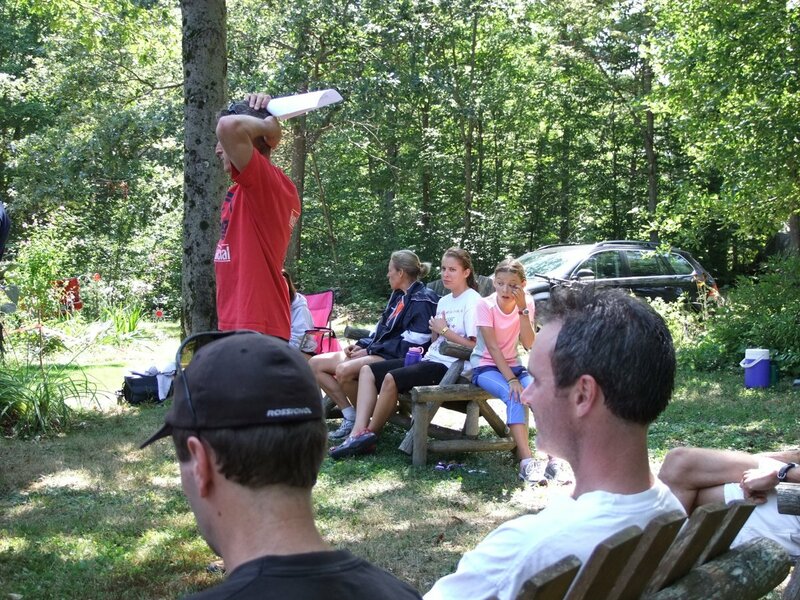 At the same time (well, 1 or 2 minutes later) Moffett was finally able to find the targets, shooting clean. As Moffett headed out on loop for the final lap Halligan was exiting the penalty loop right behind him. Moffett was unable to shake Halligan and eventually cracked on a gradual climb with about 1 km to go. 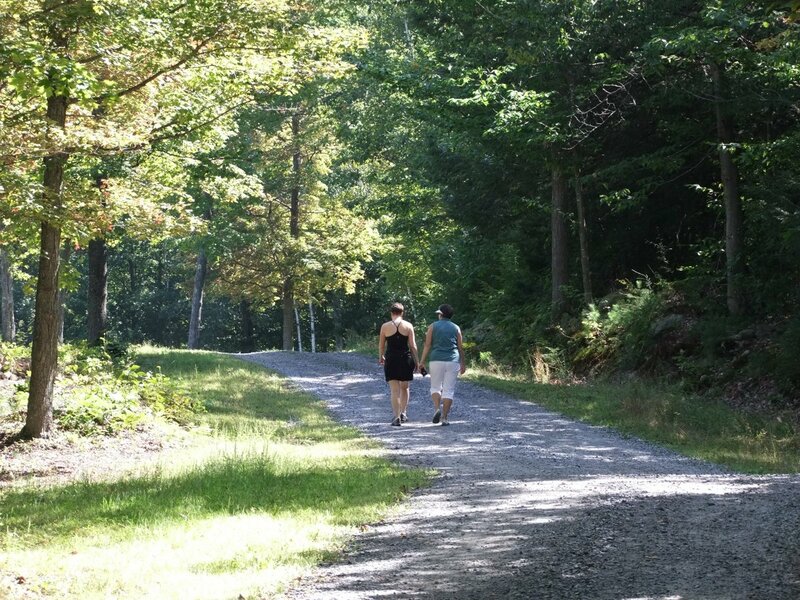 Moffett lead Halligan down a long downhill and up the final steep climb (by Jim and Betty’s house). 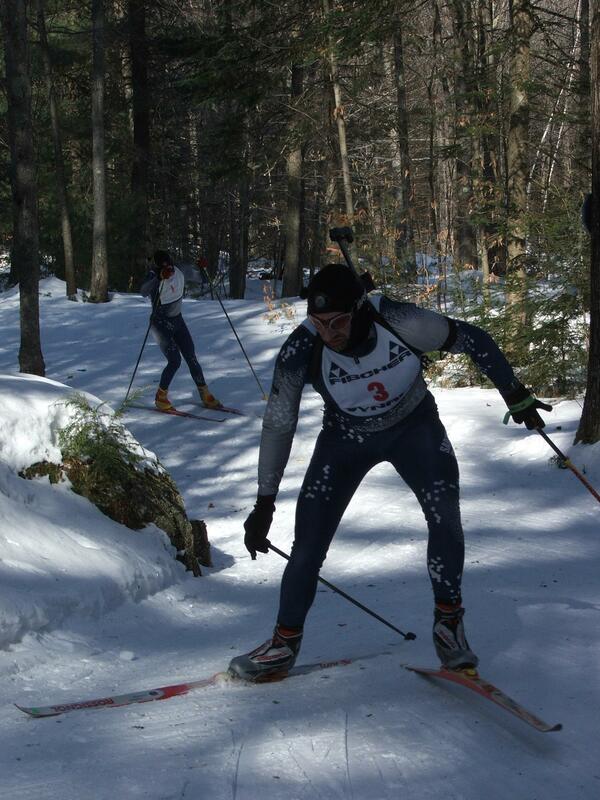 At the top of the climb, Halligan made a move and Moffett was unable to respond. 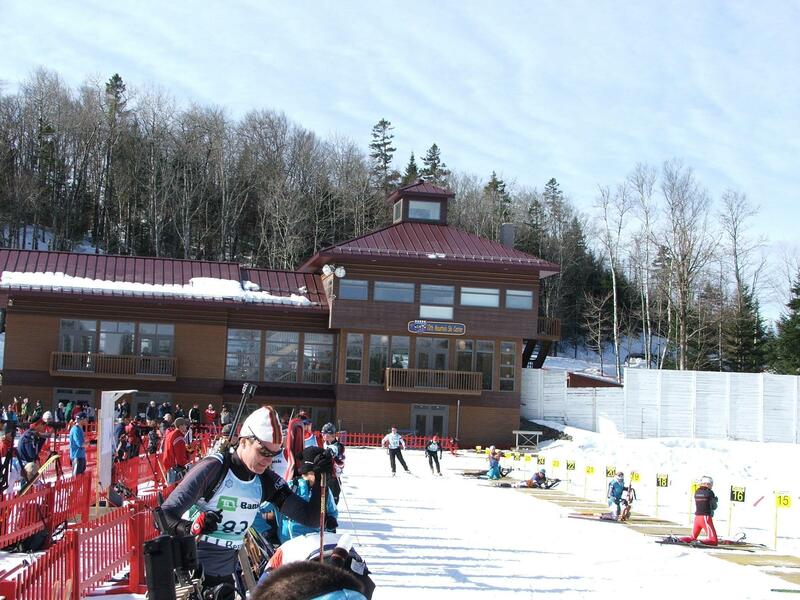 At the finish Halligan was three seconds ahead of Moffett. 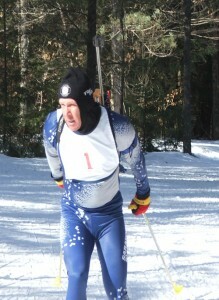 Eli Walker held of Rene Harde for third place.